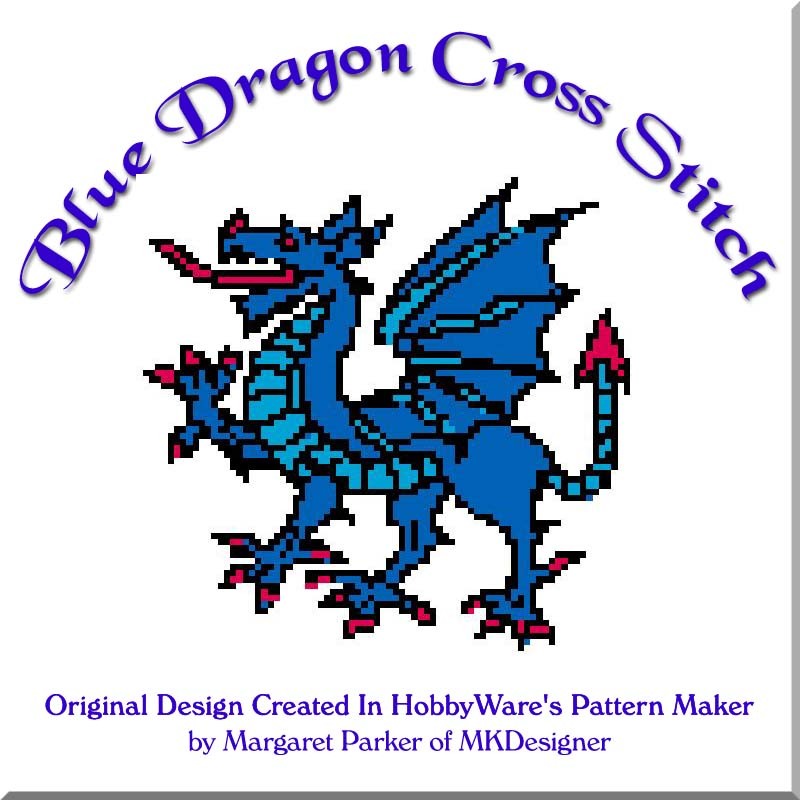 There are two patterns in this set, one with the Blue Dragon facing left, the other with him facing to the right. This is a CROSS STITCH pattern, created in Hobbyware. The download site will have both the HOBBYWARE .pat file (that software is required to read the file) as well as the GRAPHS in a PDF or WORD file.